We make backpacks for the military. Thanks to the work we read many reviews of equipment on the Internet. Most of these reviews are similar to a forensic expert’s report. There is a lot and meticulously about the shades of color, about curves and straight lines, about the brand of fittings, about the location of pockets and the tags. There are images of a half-empty backpack on the carpet in all angles. answers to simple but important questions is rare. Person intuitively feels only the dimensions of his figure. If the backpack stands for these dimensions, it will cling to branches, trunks of trees, get stuck in a cramped space. In the case of a military backpack, it is also critical to shooting in the prone position, without resting your head in the backpack. A large mat tied over a backpack? Volumetric side pockets filled with course the most necessary, the barrel of a rifle over your head? Put on your backpack and try to go through the doorway. How are you going to move through the forest? If the dimensions of the bag do not go beyond the shoulders and sides, then how to put all the things in it? You can increase the volume of the backpack in depth but to a certain limit. The further the load from the center of gravity, the stronger it is to strain the muscles of the back to compensate for the weight. As a result, we obtain optimal dimensions, limited in height by shoulders and a depth of 30-35 cm. This is roughly the case, for example, of our T40 bag with a volume of honest 45 liters. This is not only advertising T40, but also the rationale why it was made just like that. It is not by chance that this is the most popular model for our military buyers. If your goal is a two-week hike with family, barbecue, and guitar, there are no questions, most likely you really need a 120-liter bag. But for sure you do not read this note. The 45-liter backpack is too small for everything that needs to be put in it? Let’s figure it out. In the military, considerable space should be occupied by “iron”. In the remaining volume, you need to pack personal things, food, and water. A simple question: what is more important – a quiet and accurate movement, the absence of a mound above your head in a prone position, or these things, because of which you are dragging a 100-liter bag? If the first, then the following questions: how do you dispose of rations or picking food, why do you need so much food and water? What did you do to be able to do less? Why not spend money on a compact sleeping bag? Why do you need such a warm sleeping bag now? Why are you carrying a cheap camping tent? Why are you carrying two sets of clothes? Do you have reasonable answers to all these questions? If the military has about half the volume of the backpack occupied with “iron” and with a certain skill, they can fit all things into 45-50 liters, then what does this volume do for civilians? Are you sure that the backpack in the store, which says 70-90 liters, really holds 70-90 liters? Marketers are well aware of the preferences of customers and sometimes embellish reality. Focus on the outer dimensions of the bag. Talking about aspects, always switches to talking about the weight of a stuffed backpack. The first common replica: “My backpack weighs 40-50 kg!” After this phrase is usually again listed various irreplaceable things, Which must be packed in a backpack. There are many reasons why a stuffed backpack suddenly weighs 40-50 kg. The military – the requirements of the boss, an example of senior “experienced” colleagues, youth courage and banal lies. If you wear 40-50 kg, then as a professional (you’re a professional) you can probably calculate (or at least know where to look how to calculate) energy costs when carrying a certain weight, depending on the speed and distance traveled. Not my eye, but in calories. Given the difference in height. Naturally, you as a professional are planning how to fill these energy costs. Also, your commanders when planning a task took into account the weight carried by you and adjusted the time for which you need to be in the place of the task, be able to effectively work it out and then evacuate. Naturally, Taking into account possible unforeseen complications. Is this the case? Do you think an intervertebral hernia at 30 years adds steepness? The second common replica refers to the weight of the backpack itself. “Your backpack is too heavy! I saw a 100-liter backpack that weighs 900 grams!” … Take a large garbage bag and sew straps to it. Any military-ready backpack weighs more than a garbage bag for two reasons. The first: its designers thought how to make a power frame, which effectively removes the load from the shoulders and transfers it to the hips. Different lats, arcs, frames, cunning belts and other engineering solutions that are not conspicuous unless you just pick up a backpack. Add to this the requirements for reliability, and you will get a certain weight of the frame, belt, and straps, Below which it does not work. Look at how much the Mystery Ranch and Kifaru backpacks weigh. You do not want the whole structure to fall apart, for example, after dropping the stuffed rucksack from the car to the ground? 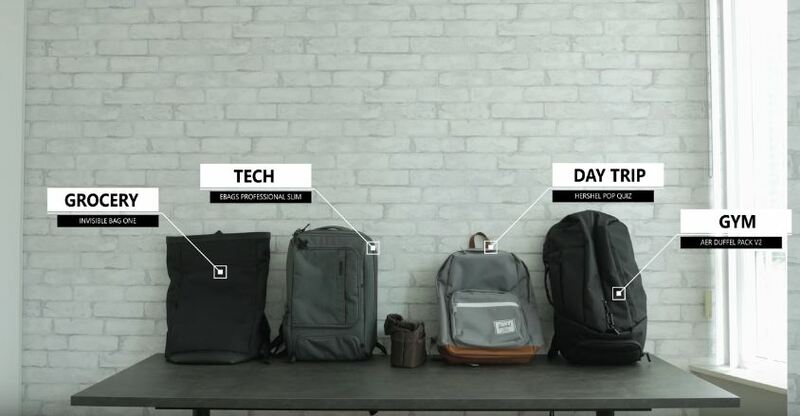 Second: its designers tried to enrich the backpack with some features that will improve its functionality. Our pockets, zippers and the like. All from the calculation of heavy use conditions. The main factors that affect the weight of the product – the number and density of tissue. At the same time, all reasonable manufacturers switched to the use of Cordura with the density of 500D instead of 1000D, because the latter is excessively durable and weighs almost twice as much. Can I use lighter materials without losing strength? Of course, look at the best tactical backpacks made of materials such as Dyneema or Dimension Proliant. Just do not look at the prices. How much molle is needed for the backpack? Are you satisfied with an absolutely smooth bag? No problem cut all molle lines, take electronic scales and enjoy the saved grams. For reference: the weight of all molle lines sewn onto the largest cargo bag T60 is about 160 (one hundred and sixty) grams. In the end, how much weight, in kilograms, is “unreasonable” and how much is “still normal”? 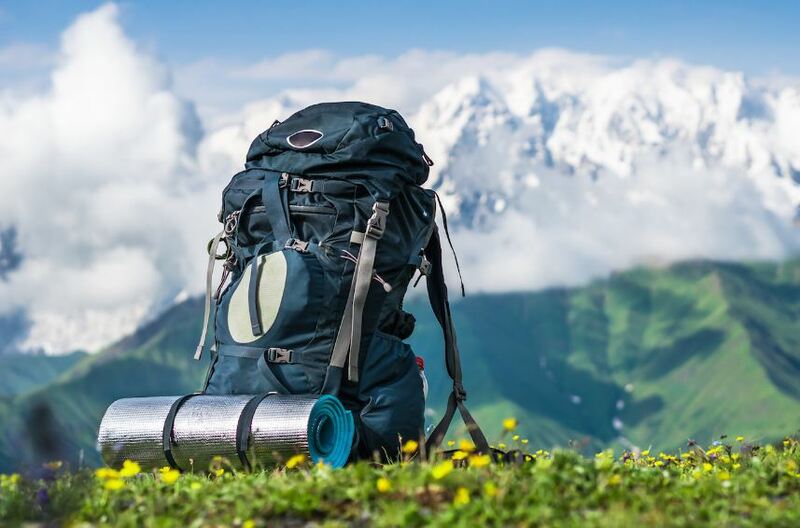 If the backpack of your dream weighs 1 kg and at the same time after 30 kilometers with a weight of 30 kg you have the shoulders and back in order and you are ready to go the same way, then you really found an excellent backpack. You do not know how many people do not know how to fit a backpack. More than half of those who come to our workshop do not know how to do it. It is sad, Because even if you have a cool backpack for $ 700 like “fur seals”, you still get tired more than necessary and injure the spine. Relax the shoulder straps, tighten the belt in the right place to transfer the load to the hips and, if necessary, adjust the height of the straps so that they fit tightly and evenly over the shoulders. What is so difficult about this? More than half of the buyers do not know how to do this. In our workshop, the demonstration rucksacks are especially stuffed with things and weigh about 15 kg, so that you can feel the difference between the right-placed backpack and the backpack that is not adjusted by the figure. Why do I need a belt? Somewhere 70 percent of the load is transferred to the feet if the power frame (it’s in the common parlance “back”) and the belt of the backpack are designed correctly, And the suspension system is adjusted to the figure. Look in the mirror and compare the amount of muscle on the back and the volume of the femoral muscles. What besides naive arrogance makes you not zip up the belt? To the question that the “clear boys” belt is not fastened to reset the backpack in case of sudden fire contact quickly. It’s silly to say that someone’s kung fu school is worse or better. Representatives of the school of the unfastened belt are certainly right if their point of view is backed up by personal combat experience, in which the unfastened belt helped them survive. When all the excess molle lines are cut off, a 1 kg raid pack is found, you can discuss additional twists in the form of a “vented anatomical” back, a “beaver” tail, a quick release, and so on. Everything that creates notorious comfort. 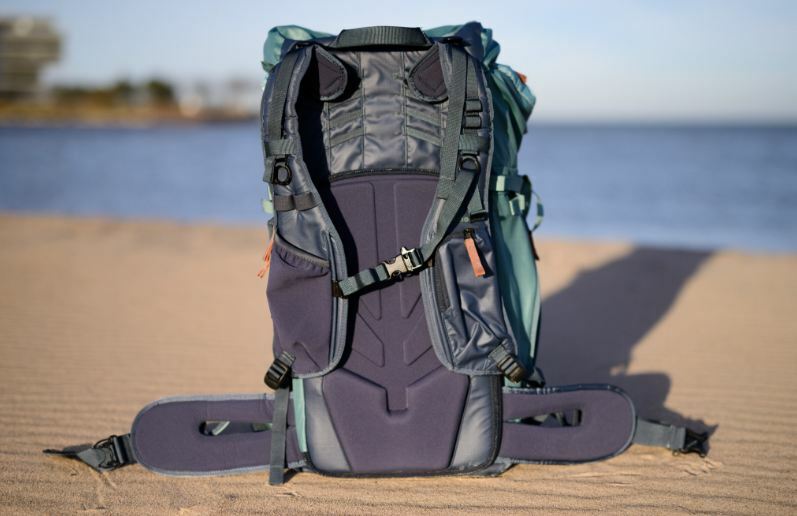 In our opinion, comfort is when on neither the second nor the fifth day the 35-kilogram backpack does not rub anywhere, and the shoulders do not get numb from the load. The rest of the notion of comfort is simply naive. Unambiguous wiring: the air mesh does not vent anything, it absorbs sweat well. And also collects dirt. Some ventilation is only possible if there is a space between the body and the backpack, and not a soft sponge. It is possible to argue up to a point about NSN numbers on the equipment of a probable adversary. At best, your erudition will exceed the erudition of an employee of a foreign warehouse, where this equipment is stored.